Nobody knows what the next headline will hold. Is it positive, negative or sudden death? The trade meeting between President Trump and President Xi will be at the G20 meeting this weekend. Tough talk is flying and expectations are slim. Most analysts believe Trump has met his match because the Chinese play the long game as in 10-year increments and Trump is a short term thorn in their side. The key will be whether they are willing to endure even more pain with additional tariffs or will they try to make some small concessions to get the process moving. They understand US politics well and they know Trump needs a win because his time is running out before the Democrats take over the House. This is a chess game of gigantic proportions. There are hundreds of billions of dollars at stake for both countries. Trump threatened an additional $267 billion in tariffs again this evening and the S&P futures fell -15 points before recovering. We all understand the big threats before a crucial meeting but we do not know how that meeting will turn out. China is not the only weekend event risk. Saudi Arabia is going to attend the G20 meeting and the Argentinean prosecutors are considering filling murder charges on Crown Prince Mohammed bin Salman. That could really spoil the G20 party. You can imagine the political deal making going on behind the scenes to avoid that potential. President Trump is also scheduled to meet with Putin and new broke today that the Russian navy had captures three Ukranian ships and they were blocking access to the sea for the Ukraine. The Ukrainian government has enacted marshal law and increased its defense posture on all Russian fronts. The US warned this attack was in violation of international law and warned Russia to back off. The only reason Putin would take this action the week before the G20 is to make a statement and see if Trump or anyone at the G20 would react. This is a global threat to see if anyone is going to stop Putin from taking further actions. The market could be a dangerous place over the next ten days. There are multiple events that could send it crashing lower or add fuel to the rebound. On Tuesday, Fed Vice Chair Richard Clarida speaks and he is followed on Wednesday by Chairman Jerome Powell. Either one or both could say something to upset the market about the pace of rate hikes. These are critical speeches. 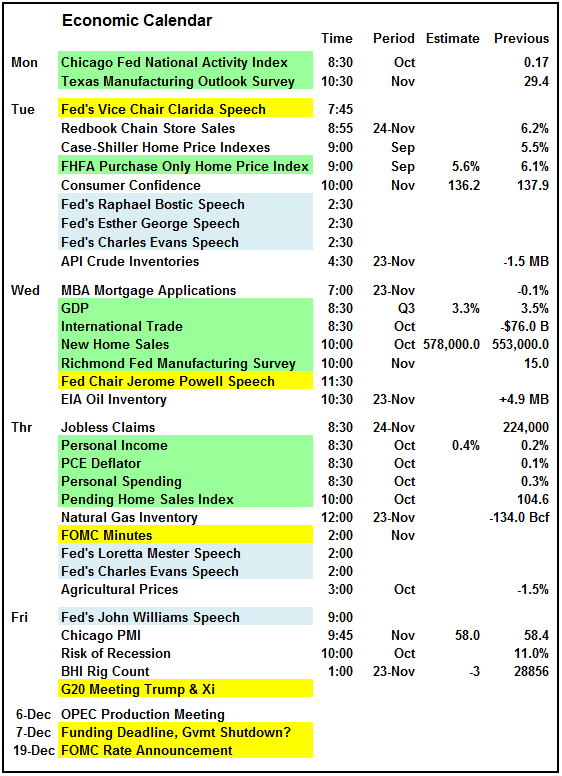 On Thursday we have the FOMC minutes of the last meeting but that should be anticlimactic after the two Fed heads speak. 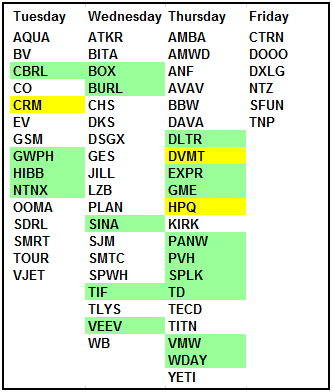 The earnings cycle is winding down but there are still some big names reporting this week. Tuesday has SalesForce.com followed by Dell Technologies and Hewlett Packard on Thursday. However, all eyes will be focused on the Fed and the G20. The S&P rebounded 41 points after closing in correction territory on Friday. It was a good day and a decent short squeeze. However, that is all it was, a short squeeze. You cannot look at the chart below and get too terribly excited about the rebound. In the greater scheme of things, it was just a minor blip. It could be the start of a bigger rebound but one day does not make a trend. 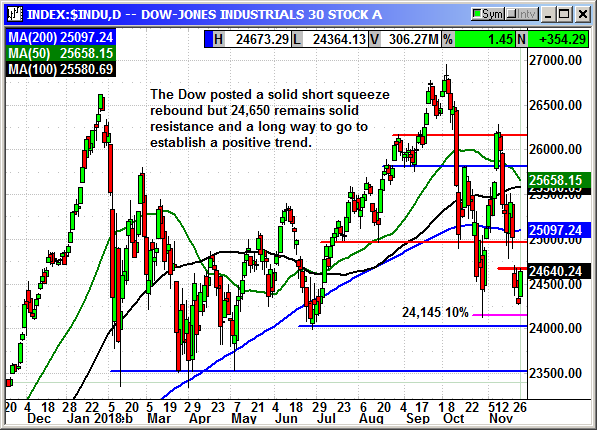 The Dow chart is similar with a 350-point rebound but it stalled at 24,650 and exactly the same level as the two prior days. We could move higher if investors begin to believe there will be a positive outcome on the trade meeting but the Dow has a long way to go to establish a new trend. The Nasdaq profited from short squeeze in the FANG stocks. They were the most oversold and therefore the most susceptible to a short squeeze. Nothing changed in the fundamentals and Facebook even had another round of negative press but the shorts were running scared. Even the news that Tesla came within weeks of bankruptcy back in the spring, failed to dampen its short squeeze gains. 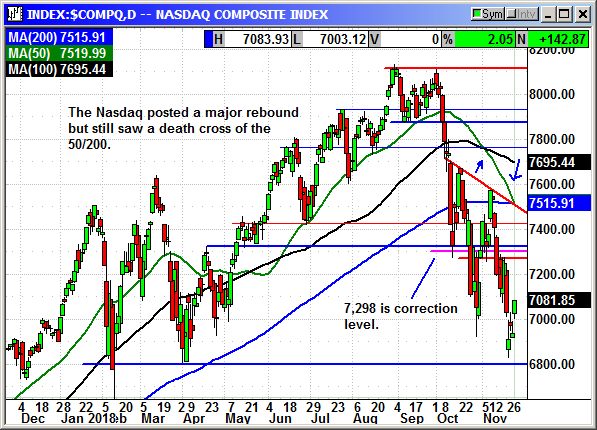 The Nasdaq closed at 7-month lows on Friday and the rebound today still left it more than 200 points into correction territory. 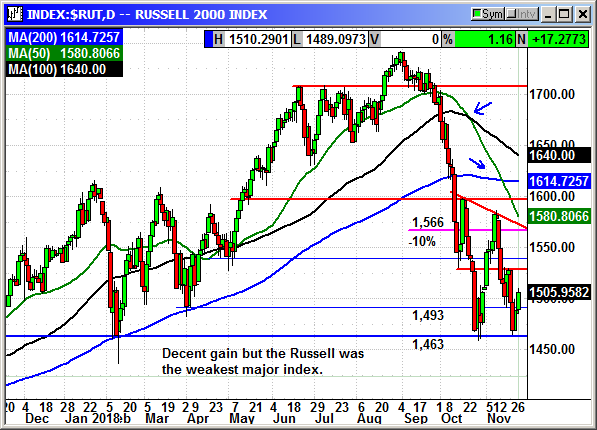 The Russell posted a decent gain but it was half of the percentage gain on the big caps. It is hard to look at the chart below and find anything bullish. It did rebound from the 1,463 support but it is not yet a trend. I am recommending everyone avoid adding new positions ahead of the G20 headlines. There will always be another day to trade and there will definitely be calmer markets. There is no reason to play in traffic just because you can. Be patient and let's see what the headlines bring us for next week. 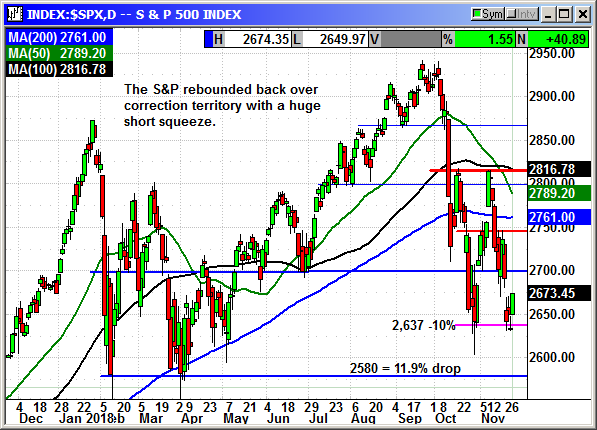 We saw a monster short squeeze today after the S&P closed in correction territory on Friday. 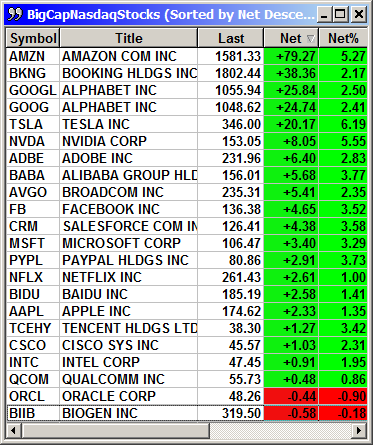 The FANG stocks rebounded strongly because they were the most oversold. The Nasdaq gained 3.3%. It was a good day if you were long and a terrible day if you were short. After the close the S&P futures fell -15 points but have slowly worked themselves back to -5. It is entirely possible we are going to see a rally in front of the G20 meeting but I am not going to bet on it. I bet on the last rebound and got killed on the second dip. The potential for an irrational move ahead of the G20 is nearly 100% and it could be in both directions. There is no need to jump into a new position only to get blown out again by some random comment on the China trade issue. We have a clean slate and I would rather add positions into a known environment than try to guess on the market reaction before and after the meeting. This time next week we will know the answer and we can make a rational "investment" decision. 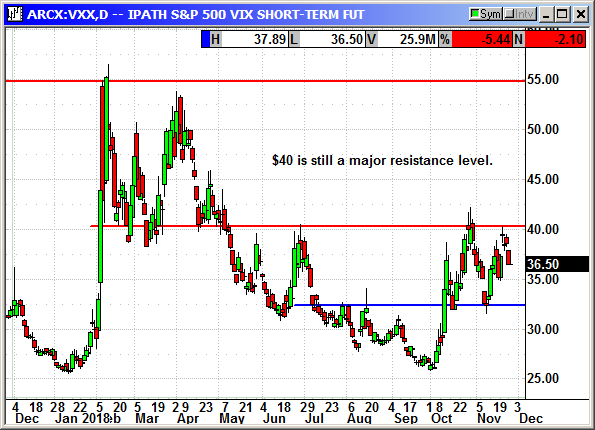 The short call position was entered on Nov 20th. The long position was stopped on Nov 20th. 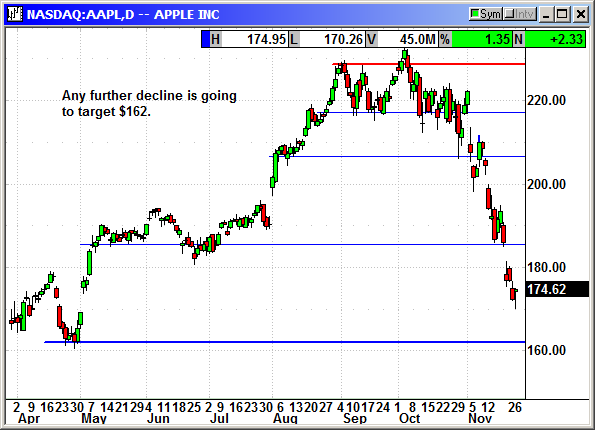 We tried to offset some of the damage from the Apple decline by selling a short call at the open last Tuesday. Unfortunately, Apple dropped nearly $11 at the open on Tuesday and killed the value of the short call and removed any remaining value from the long call. The stock rebounded today but every step higher is going to find new buyers who wished they had sold it at that level. I am dropping this position as a total loss. Short Jan $210 call @ $1.00, see portfolio graphic for stop loss. Canopy gapped down with the with the 600 point Dow drop on Tuesday to stop us out. There was no news. Just a continued weak market. 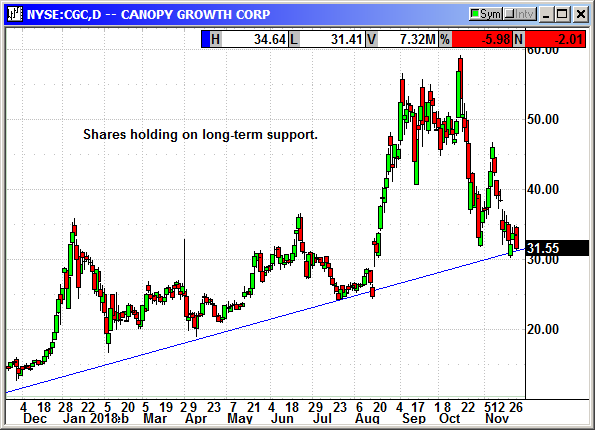 Update 11/19: Canopy reported a loss of $1.52 against no estimates. Revenue rose 33% to C$23.3 million and well below estimates for C$60.0 million. The biggest challenge is that Canada's legalization did not occur until the middle of October and after this reporting quarter ended. Sales of oils made up 34% of product sold, up from 18%. Kilos of cannabis harvested rose 265% to 15,127 but kilos sold rose only 9% to 2,197 because of the legalization deadline. The average price per gram rose 24% to C$9.87. The number of active registered patients in their medical program rose 34% to 84,400. It was actually a good report with the exception of the date issue. Closed 11/20: Long April $45 call @ $7.20, exit $2.74, -4.46 loss. Closed 11/20: Short April $70 call @ $2.75, exit $.86, +1.89 gain. 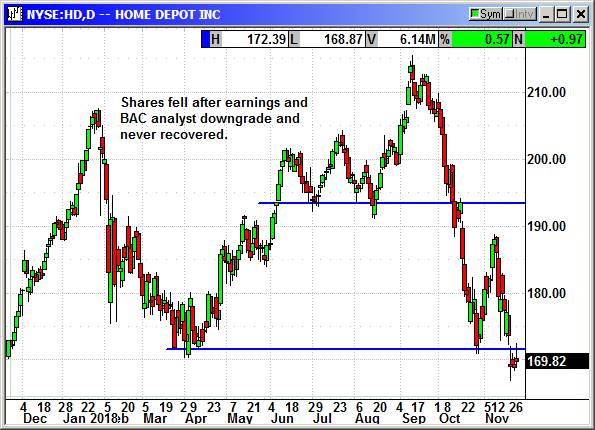 HD declined after earnings when Bank of America cut them from buy to neutral. The shares never recovered and gapped lower with the 600 point Dow drop on the 20th to stop us out. Clsed 11/20: Long Jan $185 call @ $3.70, exit $1.16, -2.54 loss. 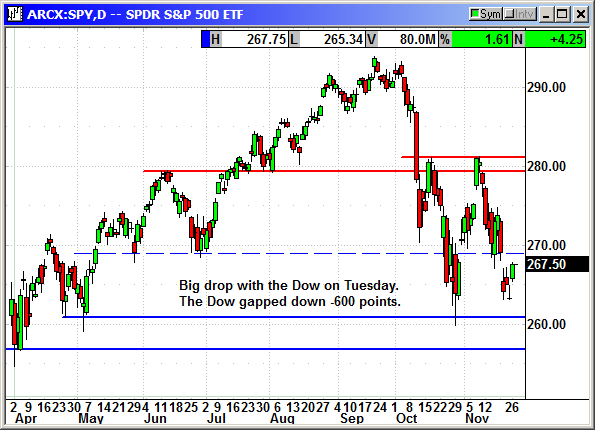 The S&P gapped lower with the Dow's 600-point opening drop on Tuesday and we were stopped out of this position. Closed 11/20: Long Jan $285 call @ $4.45, exit 0.93, -3.52 loss. The surge to 40 was brief and a couple more days like today and it will be back at 30. It will eventually go to single digits. We just have to be patient.